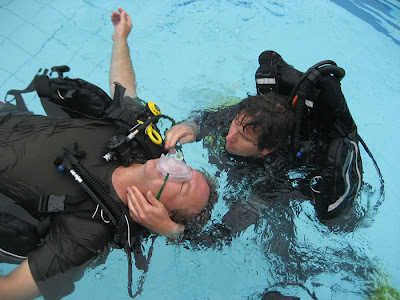 Today was already the second day and Bas and Jamie had their first Prescriptive Teaching presentation and their third Confined Water Presentation, completed with 3 presentations by me from the IDC curriculum. Jamie practicing his Rescue skills on Bas. One onethousand, two onethousand, three onethousand, four onethousand, vent. 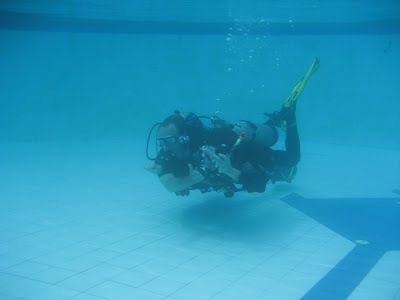 Jamie is using the pocket mask in the rescue practice. Payback time for Bas, also using a pocket mask. 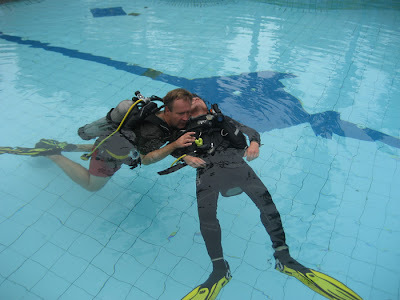 Jamie during his Controlled Emergency Swimming Ascent (CESA) as Instructor and Bas as student. 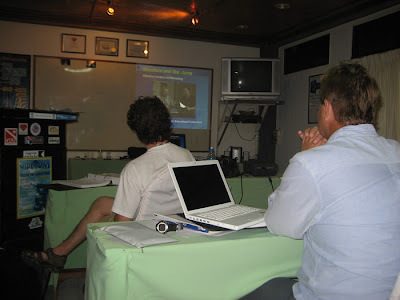 More classroom presentation by the Course Director. 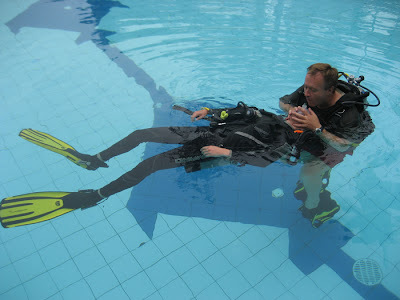 This is one is covering the Scuba Diver and Open Water diver course. They're both on track and getting good scores. Another two days of the OWSI http://www.idcthailand.net/owsic.html, followed by the closing of this IDC on the 12th and than off to Koh Tao on the 13th for the IE http://www.idcthailand.net/inexam.html.